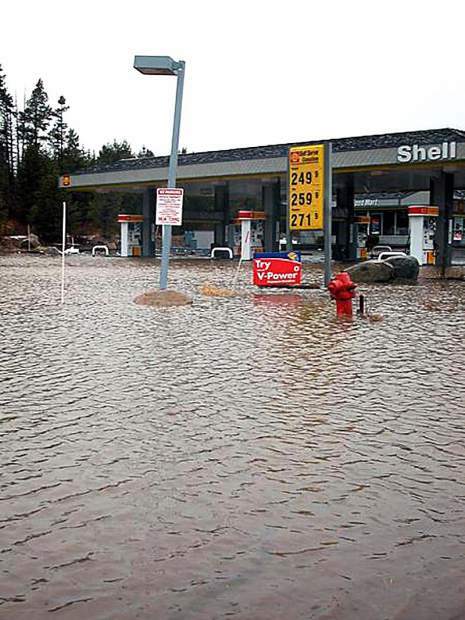 The Shell gas station at Highway 89 south near Deerfield Drive was flooded by Donner Creek in late December 2005. 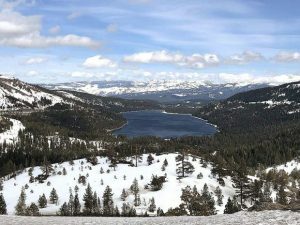 TRUCKEE, Calif. — While Tahoe-area ski resorts are heralding this week’s massive snowfall totals, area officials are on high alert as the next storm series is expected to bring several inches of rain to the region. 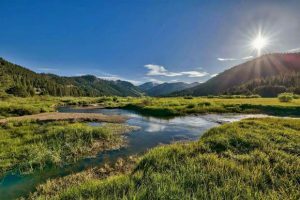 A flood watch will be in effect Saturday night through Monday morning for the greater Tahoe-Truckee region, according to the National Weather Service in Reno. Per NWS, an “atmospheric river” can be defined as a conveyor belt of vapor that extends thousands of miles from out at sea, carrying as much water as what could fill 15 Mississippi rivers. 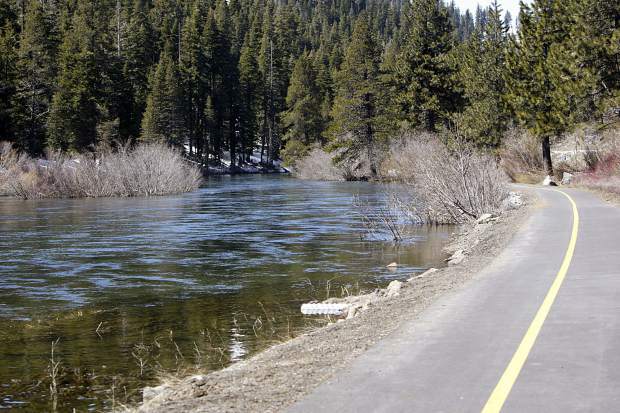 According to a statement Thursday from the Truckee Police Department, flooding of the Truckee River in town could approach levels last seen on Dec. 31, 2005. Whether or not it approaches levels of the historic floods in the region in 1997 remains to be seen. According to previous reports, flows on the river on Dec. 31, 2005, through Truckee were 6,030 cubic feet per second, compared to high flows of 11,900 cfs in 1997. The river height gauge reached nearly 10 feet in 1997, while it hit nearly 7 feet in 2005. Areas of Truckee did flood in 2005, particularly those near Trout Creek downtown and Donner Creek near Deerfield Drive and Highway 89. According to NWS, an additional 1 to 2 feet of snow could fall as well during the storm this weekend; however, while snow levels could begin Saturday afternoon as low as lake level, they are expected to rise above 7,000 fairly quickly, and above 8,000 and 8,500 feet by Sunday as temperatures at lower elevations warm.